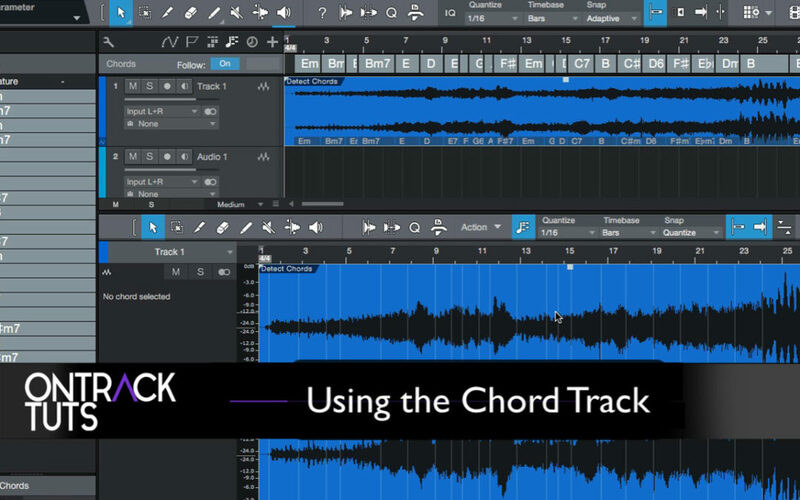 In this video I want to show you how you can use the Chord Track and its detect Chords function to even detect the chords within an exported song that contains numerous instruments. It’s pretty advanced that it can detect these chords even through a bit instrumentation. Before getting into any mix, it’s wise to check your gain staging of your tracks. Now I know I am definitely guilty of not doing proper gain staging for a good couple of years in my music productions. But when I learnt what it was and how it worked it, changed up my mixes completely. Basically what gain staging is, is checking the input levels of your tracks before starting any mix processing and mix adjustments. If the input coming in on a track is too high, and you apply mix processing to it like a an EQ or Overdrive effect, you might make the track too hot with the bundled gaining in the effect processing, plus you will also have limited headroom with work with, especially if numerous tracks are too high in their input levels as well. So the summing of all the audio tracks in your project could cause your master output to be too high. So what you want to do is have an optimum gain level, so that when you start adding your effects and start mixing the tracks, you’re still leaving headroom for yourself to work within your mix. Now in the digital world you do have more headroom available to you than in the analog world. But there is one difference, when you pushed your tracks a bit hard in the analog world the analog gear would clip the audio in a pleasing way because of the way that the analog circuitry soft clips the audio. Where in the digital world if you push your tracks to hard you get digital distortion, which isn’t to pleasing. 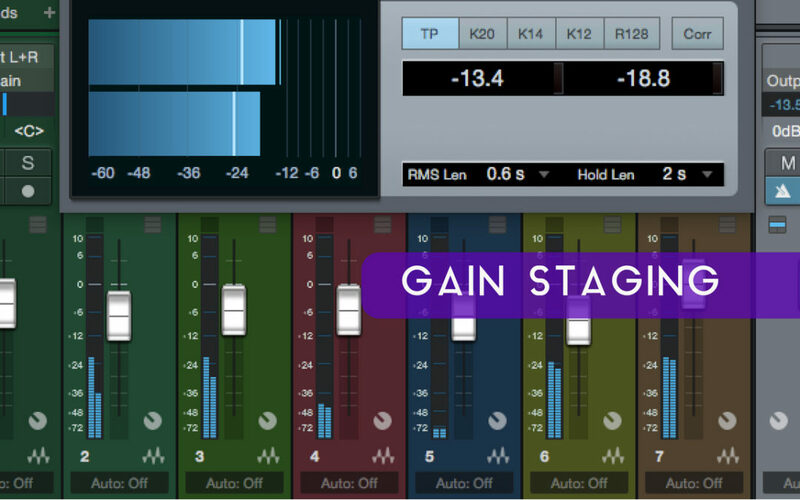 So no matter if you’re coming from an analog background, or work entirely in the digital domain its good practice to understand gain staging in your mix process. Ideally, you want your tracks to sit between -12db and 18db. 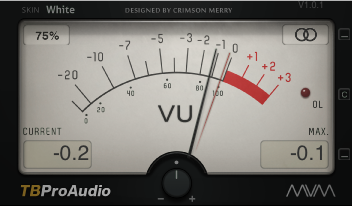 So you can either use the meters on your tracks if they have a good decibel read out, or look at using a dedicated decibel reading plugin on your tracks, like a VU Meter plugin. TB Pro Audio has their freeware MV Metter plugin. Then go through each track and check if they are sitting between this range. The reason for this -12db to -18db range, is when you start introducing numerous tracks into your project all at around this level, the sum of these tracks will be louder through the master output, but still headroom left to work with. And another reason for the audio in this range is that it’s a good input level to work with to push through your audio plugins. It won’t be pushing the effects too hard or too soft. Therefore, giving you a good guide when you start applying your effects. So that is gain staging for you in a nutshell. I found that by applying proper gain staging before starting a mix I got better results, so try this out in your next mix project and see how it works out for you. 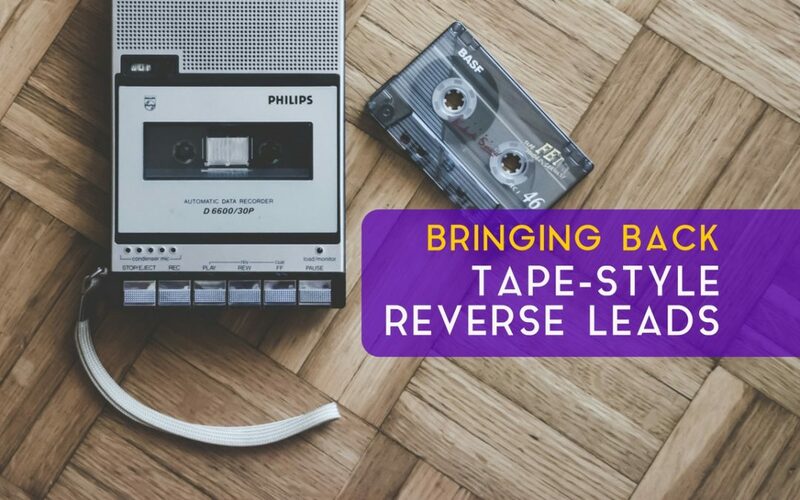 In this article let’s take a look at how you can create an analog tape-style reversed lead sound. This is a technique they used to use in studio back in the day to create those awesome reversed sounds. But that same technique and steps can be applied in our modern DAW’s. This is a technique I used to love in the analog days on my 4-track before I got into digital audio recording. My favorite was recording in backwards guitar solos. I would record my guitar riffs. And then flip the tape around and it would play all the tracks in reverse. I would then come up with my lead line listening to the parts in reverse. I’d record this part in, and then flip it back around again, and I would have this awesome in time and in key reversed guitar solo. Now with modern digital recording, you can literally do anything and everything in the box now that was quite a mission back in the day. 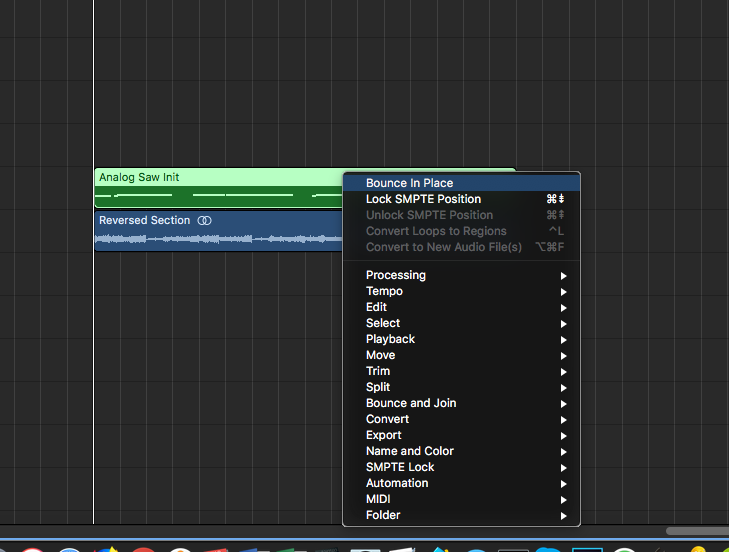 If you want to reverse an audio part, you simply select the part and reverse it and it’s done. But I must admit that flipping your song around playing it back in reverse and then recording your lead parts still produces better results than simply flipping an audio part around in your DAW and hoping for the best. So let’s take a look at how we can achieve this same analog vintage reverse tape effect in our modern digital audio software. First select a part of your song that you want to record a reverse lead line to. Then bounce this out to an audio file. 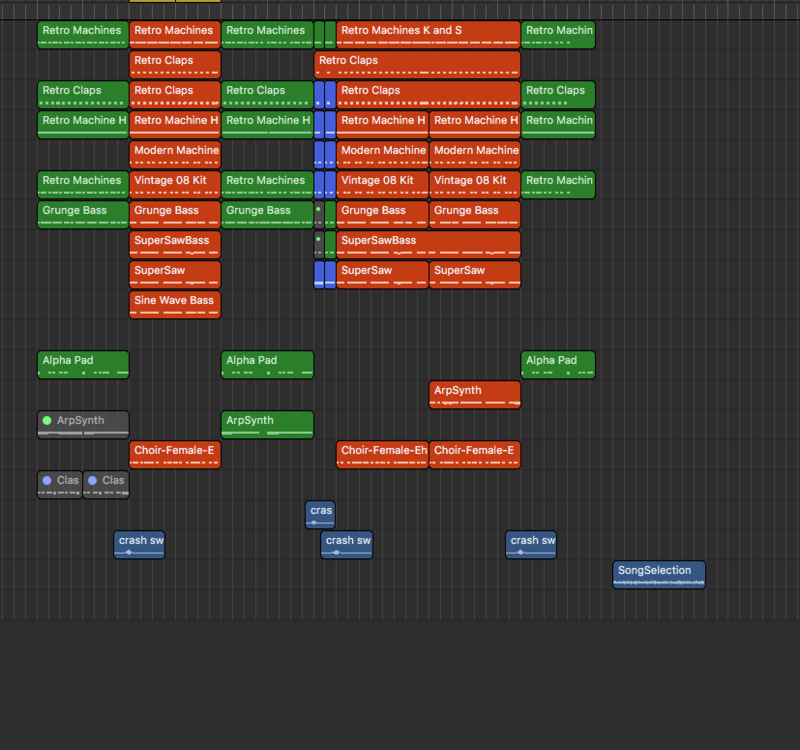 Then pull this exported out file back into your project but further down in your timeline. Then reverse the part, and take a listen back. Hear if you can hear the new reversed chord progression. You need to be able to hear it so that you can play your new lead line over it. If its hard to hear then maybe choose less tracks to export out. Maybe you only need the drum parts, bassline, and chords. Now it’s time to try out some leads. Load up a lead instruments and start playing some ideas over the reversed part. When you’re happy record in your new lead line over the reversed audio part. Now bounce this lead to an audio part if it’s a MIDI instrument track. And then reverse this part. And drag this to a new audio track over the original section. And there you have your analog tape style reversed audio lead part. I know it took a few steps. But going through these steps you got a reversed lead line that’s in key and in time, so it fits perfectly over your original section. 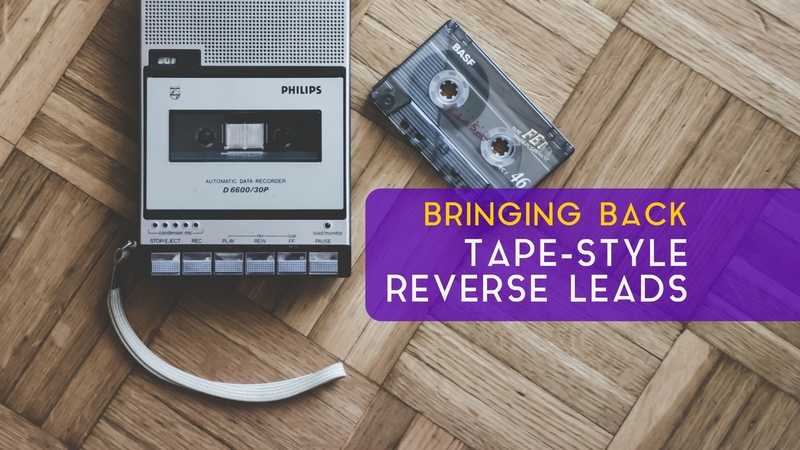 I hope this trick has helped you come up with interesting reversed lead lines for your music productions. 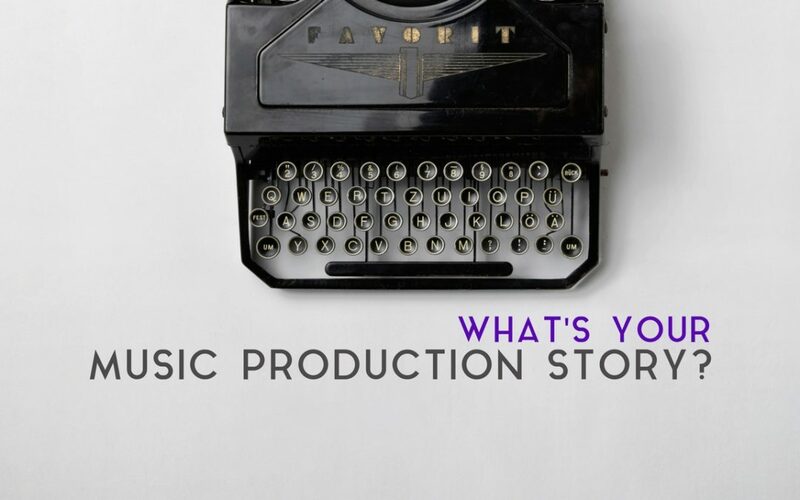 What’s Your Music Production Story? I’m fascinated by music production and the associated tech tools available that allow us to record and produce our ideas inside the box. I think I’m so intrigued by it because it has come such a far way since I first got into it in the early 00s. One way of seeing how far you’ve come with your music productions is to take a look back at your story. Let me take you through mine and maybe it inspires you to look back at your own journey. Looking back allows you to see how much you have improved. In my teen years I was too preoccupied with playing guitar and going to the beach ( I grew up in a surf and bodyboarding city so it was a no brainer) to think about computers and how I could actually use them for music. I mainly just played a few games on them (hello Duke Nukem! ), to occupy the time between surf sessions and band practices. But what really changed it for me was when I got my hands on Reason. 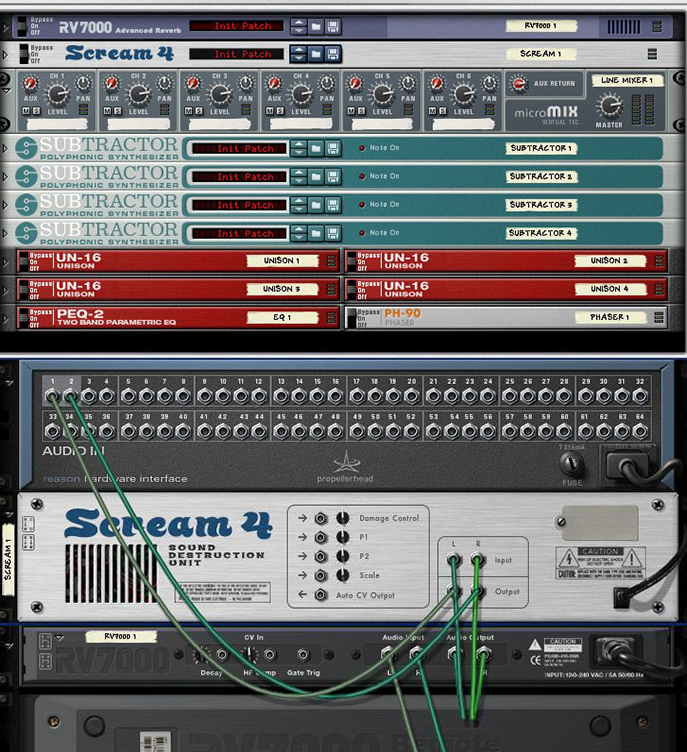 Reason completely blew my mind with all the cool rack effects and instruments. And especially when you pressed the TAB key, and it flipped the rack around and you could see all the cabling to the different modules. Still even today it’s quite a nifty and impressive feature. 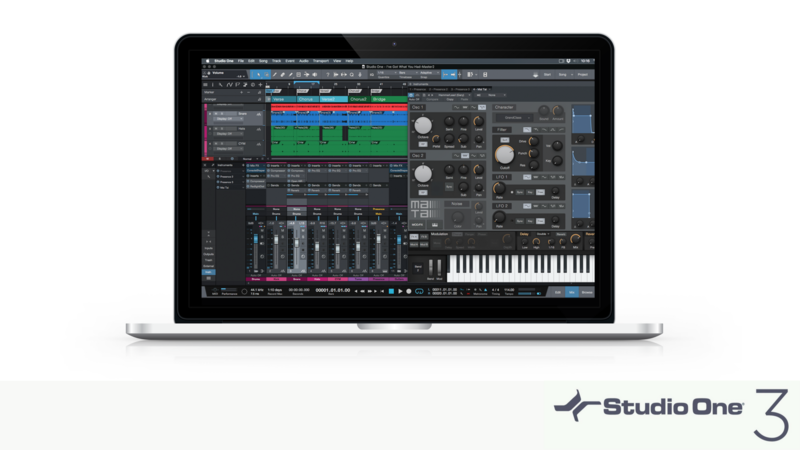 I was hooked on Reason (it was version 2.5 then), and wanted to take my music productions further. But at the time Reason didn’t have audio recording capabilities. You could pull an audio sample into the NN-XT sampler but that was it. So I did some researching, and found out about DAW’s (Digital Audio Workstations), and how Reason could be Rewired into these applications. So the DAW could handle all the mixing and audio capabilities, while Reason ‘plugged’ into it. So I had to decide on two things: a DAW to use, and an audio interface to allow me to record audio sources into the software. So I started off with ProTools (I think it was on version 5 then), as you got the audio interface with the software. 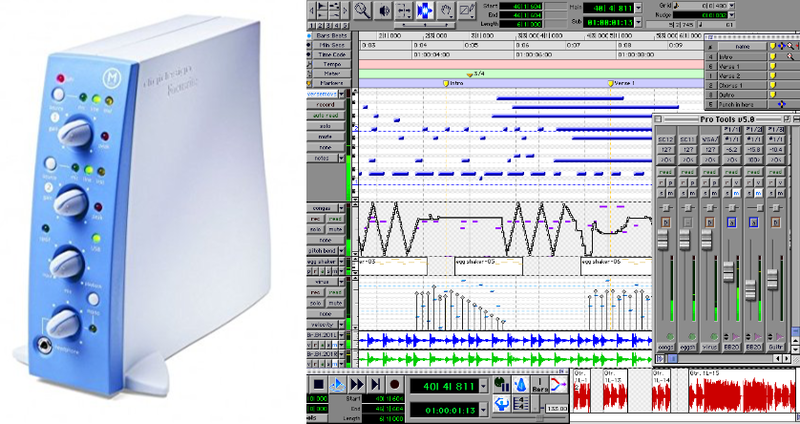 And my first interface was the legendary MBox1. And I have to thank my wife as she helped me purchase it and, like we did with all the stuff we bought together, we gave it a name. So it was christened ‘Mindy’ and to this day I still have fond memories of Mindy. It was only a USB1 interface with only 2 inputs and 2 outputs, but it changed my whole perspective on music production. Now, I could record my guitar and vocal parts straight into ProTools, have a visual display of the audio, and jump in and edit the ideas. I think I stuck with ProTools for about 2-3 years, but then my ‘Gear Envy’ started to wander and I kept hearing good (great!) things about Logic. First things first, I needed a Mac. My introduction to the Mac world was the Mac Mini. 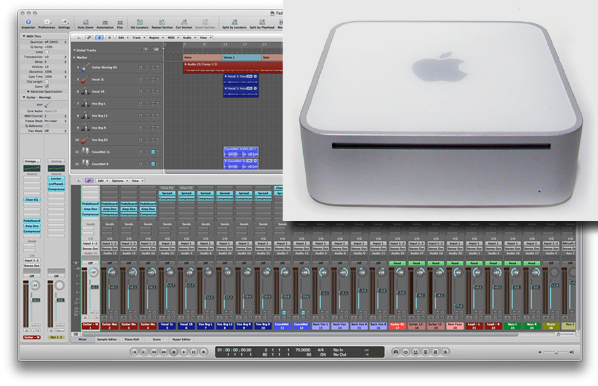 The Mac Mini was aptly nick-named Lunchbox, as…it was the size of, and looked pretty much like, a lunchbox. 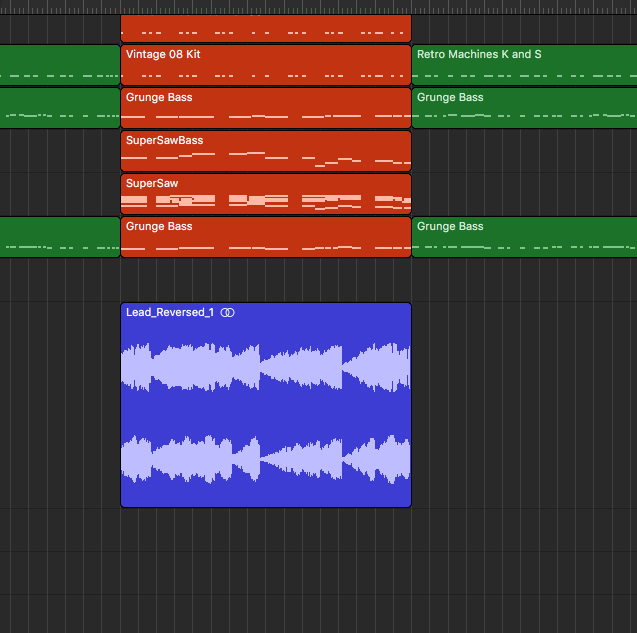 So Mindy & Lunchbox gave me the platform to start running Logic 7 Express, and then eventually Logic Pro 8 and so on….. I’m still an avid (no not Avid ProTools) Logic user. I think I’ve been using it close on 11 years now. That might be giving away my age. 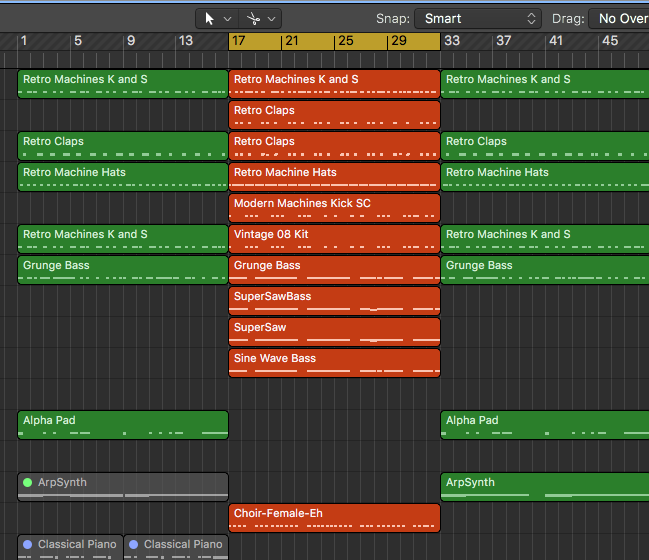 But what I have always liked about Logic is the bundled instruments and effects that come with it. Sure I’ve acquired much better synths and sample libraries over the years, but I still keep jumping back to patches in the ES2, EXS24 and using the bundled EQs and Compressors as my go-to tools in mixing. Through the years I have also jumped through other DAWS: Reaper, Ableton, Sonar and Tracktion. But I seem to have settled on 3 of them now: Logic, Studio One, and Cubase. All for different reasons. Mainly because of their varying feature sets. Familiarity brings me back to Logic. But my interest in exploring other tech options takes me to Studio One and Cubase. So I’m a firm believer that working in different DAWs makes you compose in different ways because of the feature sets and workflow methods in each DAW. Another thing that also completely changed my perspective on music production, was when I got my first MIDI Keyboard Controller. It wasn’t very fancy, I think it was an entry level Evolution 49-key. And all it had was a Pitch and Mod wheel. No other controls on the device. But being able to bash out drum beats on those keys, and lay down pads assigned to the ES2 and EXS24 in Logic was crazy! It had come such a far way from when my band and I had to book studio time, go spend a couple of hours in there recording to tape, and being limited by the clock and budget. 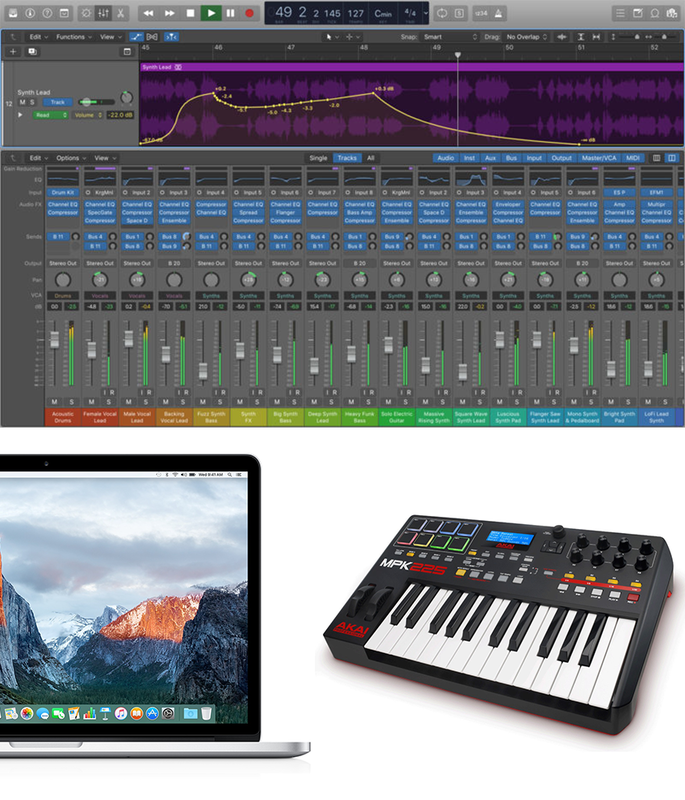 Music producers today are really lucky now that they can get a Macbook, Logic, and a portable MIDI controller and compose and record on the go and have top-notch sounding recordings. Even though I haven’t gone back to ProTools or Reason, those initial pieces of software gave me a great start. Those memories remind me how far music production has come, and keeps me appreciating what’s possible, but at the same time excited to see what music tech tools and productions come in the future. So what is coming up next in music production and its tech tools, and how will these tools shape the future of music creation? 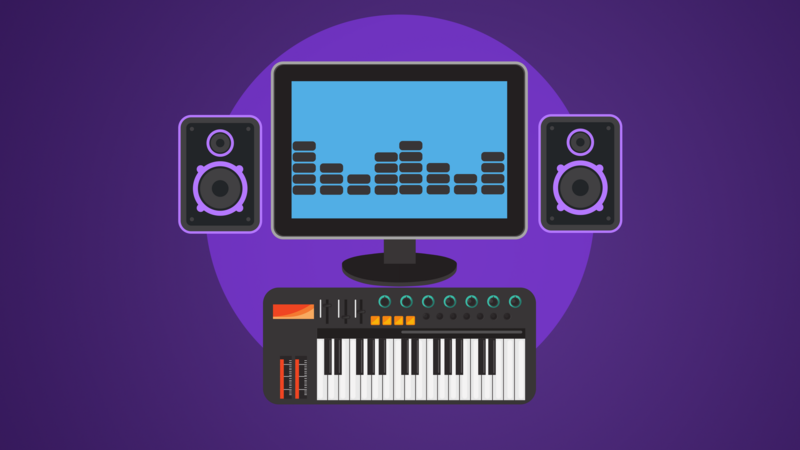 Will iPads and other mobile devices become more prominent in music production? Will VR gear work its way into our productions as well? Who knows, but all I can say is it’s exciting to know that the way things are now are not the way they will be in a decade. Appreciate your roots but also keep up with the new tech and see how you can incorporate it into your setup. Now it’s your turn! Take a look back on your music journey and see how things have changed. How has the software changed? How has this shaped the way you do things? And have new instruments and effects expanded your music palette and allowed you to write things you may not have considered before? With each application or plugin I have learnt something new and it has taken my productions further. So take a look back and see what you have learnt over the years. Go through the software and plugins you have used and see how they have helped you. Also take a look through your older songs, and then compare them with newer ones, and hear what you have worked on and how things improved with your productions. Looking back allows you to see how much you have improved. 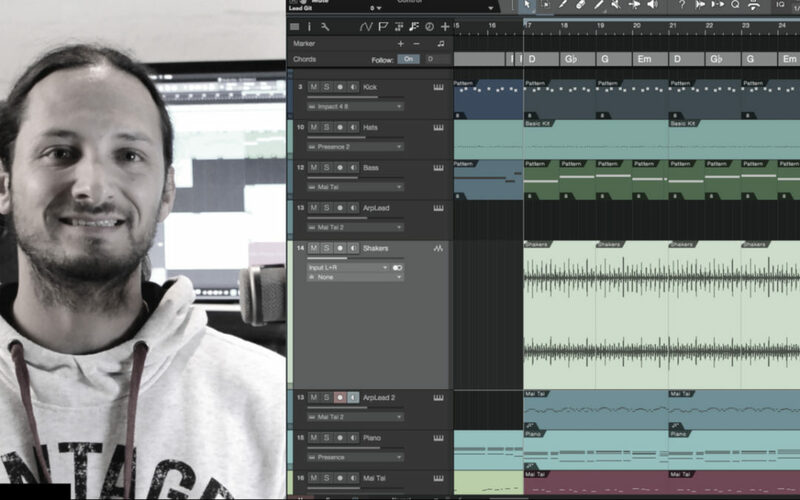 Learn how to Record and Edit Audio and MIDI in Presonus’s awesome Studio one DAW. Discover the key essentials music production tips and tricks so that you can get the most out of your DAW. Uncover ways to take your passion for music further by making it a career. 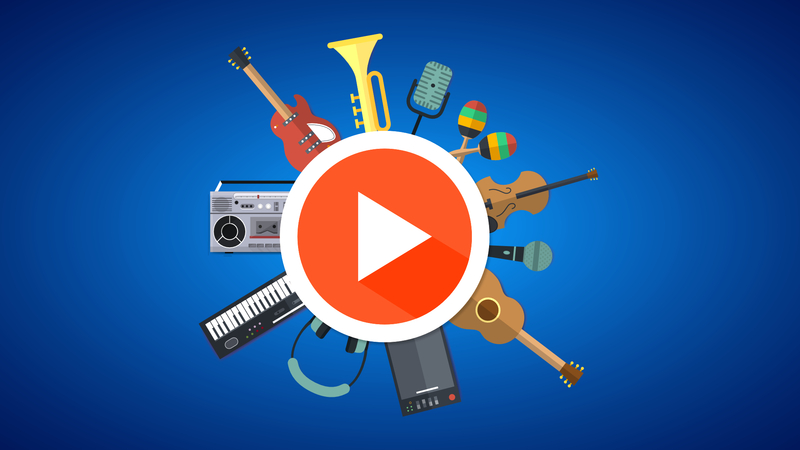 This course will look at the different musical avenues and how you can earn money from it. I hope this article has inspired you to take a look back at your music production journey to see how far you have come, and given you some ideas on how to look also to the future music production tech, tips and techniques to make sure you keep producing great music!